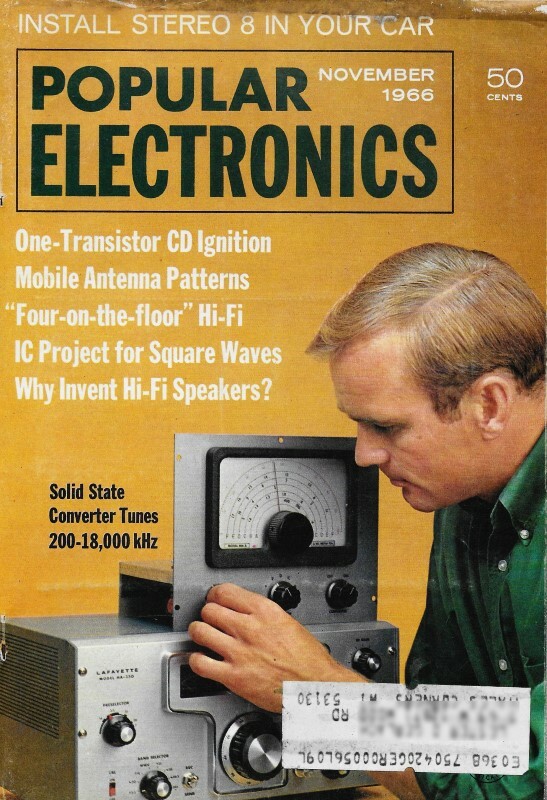 Robert Balin created this Electronic Factor Quiz for the November 1966 edition of Popular Electronics magazine. 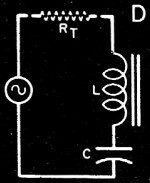 Your challenge is to match the drawing of a particular electronics circuit or implement with the corresponding "factor." 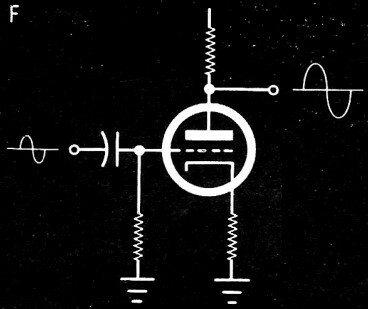 Examples are "current amplification factor," "damping factor," "modulation factor," "duty factor," "form factor," "quality factor," etc. There are ten in all. Of course on a quiz like this you cannot get just one answer wrong - or any odd number for that matter. I managed to reverse #5 and #10 (I and B, respectively). For some reason I couldn't remember what "form factor" was, but was sure that #10 was a scale factor of sorts... wrong - a clear case of cranial rectumitis. Most electronic technicians are familiar with such common expressions as "safety factor" and "conversion factor." But how many are sure of the meaning of terms like "power factor" and "duty factor"? See if you can associate: the electronic factor expressions below (1-10) with the sketches (A-J) that suggest their application or meaning. 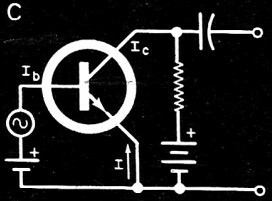 1 - C) The Current Amplification Factor, or d.c. beta, of a transistor common emitter circuit is the ratio of the collector current (Ic) to base current (Ib). Thus, β = Ic/Ib. 2 - G) The Damping Factor of an amplifier is the ratio of its output voltage under normal load conditions to the measured change in the output voltage when the load is removed. 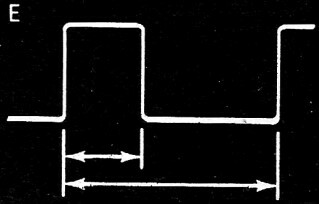 4 - E) The Duty Factor of a pulse is the ratio of its "on" time to the total duration of its "on-off" cycle. 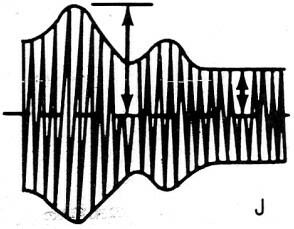 5 - I) The Form Factor of a waveform is the ratio of its effective or r.m.s. value to its average value. 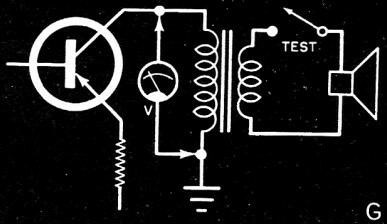 6 - D) The Quality Factor, or simply Q, of a series-resonant circuit is the ratio of either its inductive or capacitive reactance (XL or XC) at resonance to its d.c. resistance. 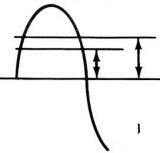 7 - A) The Ripple Factor of a filtered power supply is the ratio of the r.m.s. 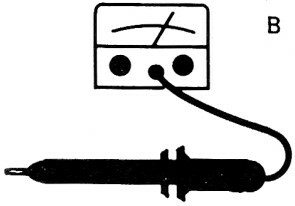 value of the a.c. components to the average value of its d.c. output voltage. 8 - H) The Velocity Factor of a transmission line is the ratio of the velocity of the r.f. energy along the line to the velocity of the same energy traveling in free space. 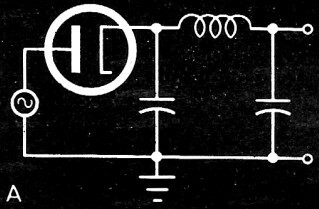 9 - F) The Voltage Amplification Factor or mu (μ) of a vacuum-tube amplifier is the ratio of the amplitude of the output signal appearing at its plate to the amplitude of the input signal applied to its grid. 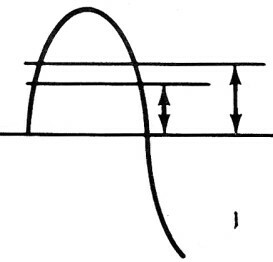 10 - B) The Scale Factor of a high-voltage probe is the constant by which the meter reading must be multiplied to obtain the actual value of the voltage measured with the probe.